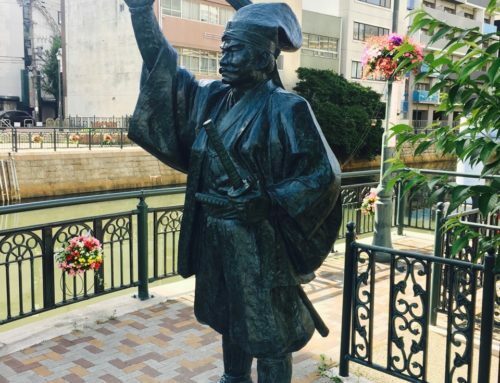 Yamamoto Kansuke was a samurai strategist and one of the famed 24 Generals of Takeda Shingen. 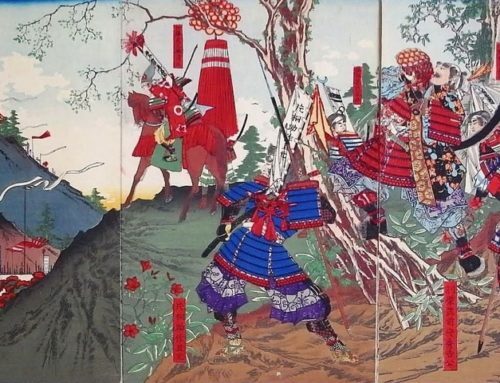 The Mikawa region, (eastern Aichi Prefecture) was renown for having bred some of the toughest, bravest and able warriors. 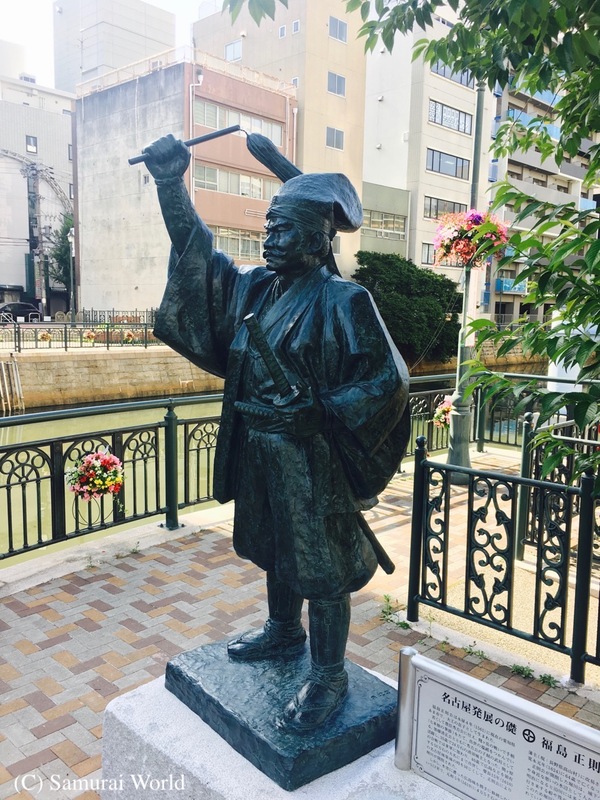 One such samurai was Ushikubo, (Toyohashi City) born Yamamoto Kansuke, who, despite being blind in one eye, lame in one leg and with a malformed hand, set off in his twenties on a warriors’ pilgrimage, traveling the land, learning strategy, tactics, castle construction and warfare while pitting himself against various schools and forms of swordsmanship. 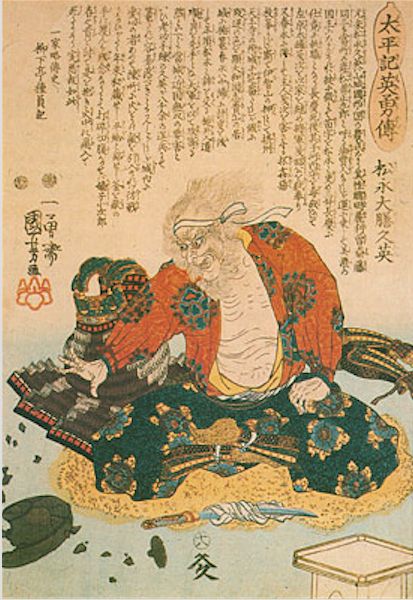 Takeda Shingen who recognized his intellect and exceptional military skills. 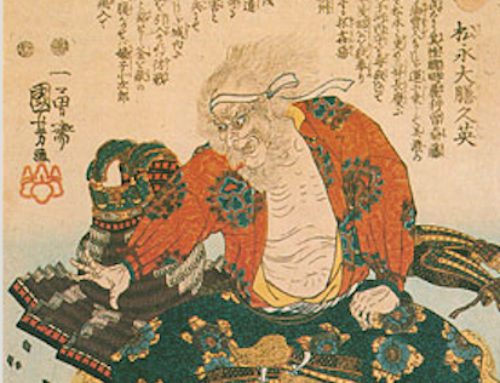 Kansuke served the Takeda clan well, rising to become one of the Takeda’s famed Twenty Four Generals, and showed his true mettle during the fourth Battle of Kawanakajima. The woodpecker pecks at the tree, and the vibrations scare the insect out so he can eat it. 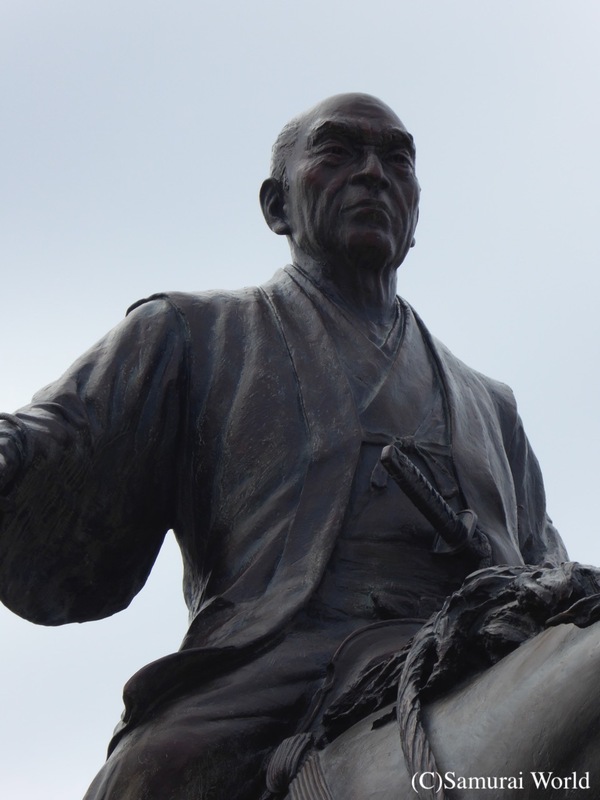 Kansuke suggested sending a garrison up the mountain by a round about route late at night to “peck” at the Uesugi troops in the early hours, flushing them down to the plain below where the bulk of the Takeda forces would be waiting! The plan was approved, and troops went up the mountain, however when they arrived, the Uesugi, whether through having guessed the maneuvers or from having been tipped off by spies, had moved down the opposite side of the mountain in the darkness, and positioned themselves on the plain where the Takeda would not be expecting them for a another few hours. The Uesugi then launched a counter attack on the surprised Takeda forces. 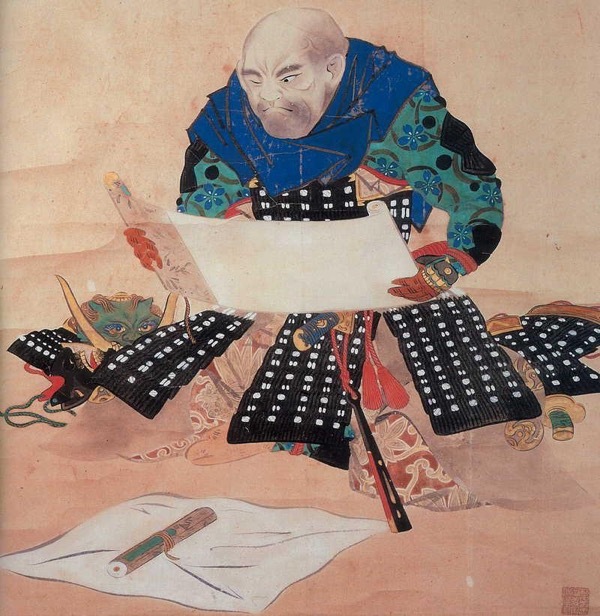 Kansuke believed that the Takeda army were about to be decimated. 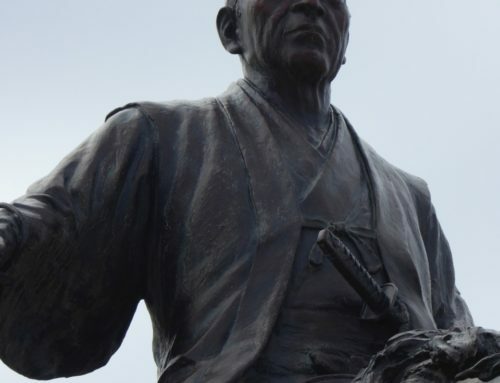 In order to protect Lord Shingen, and to take responsibility for his plan having failed, The brave strategist led his men on a direct suicide assault on the Uesugi main camp. 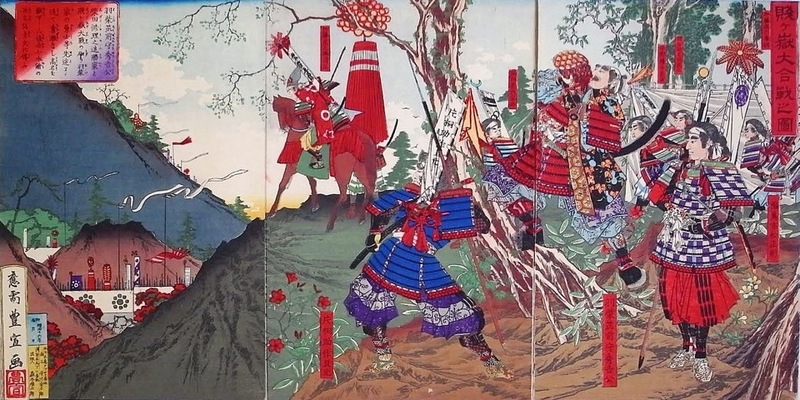 Kansuke’s horsemen were soon felled, and Kansuke himself, badly wounded from multiple spear and bullet wounds made a final charge at the Uesugi samurai, losing his life in the process. As it was, the Takeda managed to pull through, forcing the Uesugi to retreat. 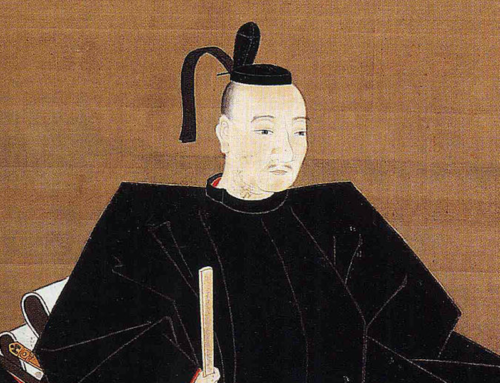 For his conduct, Kansuke was honored with a burial on the battlefield.